Free Domain Name, for Life! What is a LifeTime Free Domain? The domain name with any of these packages is free for the lifetime of your hosting account with us! NOTE: Our 3 year plans do NOT come with free domains. For other currently available specials and discounts – click here.
? Do I own my LifeTime Free Domain(s)? Yes - you do own your LifeTime Free Domain! We do register the domain name in your name!
? 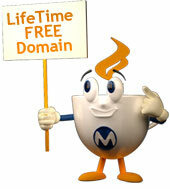 I already have a domain name - can I transfer and apply the LifeTime Free Domain(s)? No - you need to register free domain during sign up. You can NOT transfer an existing domain and apply the LifeTime Free option. 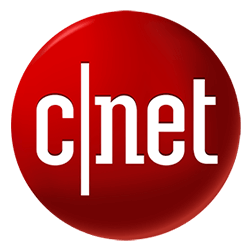 You can NOT request the free domain name on a later date.
? Do I have to pay renewal fees? You do NOT need to pay separate renewal fees for your LifeTime Free domain(s). With the renewal of your hosting account that offer free domain, we automatically renew any associated free domain names.
? Can I transfer my LifeTime Domain to another company? At any time (after the initial 60 days ICANN transfer limitation) you can transfer the domain to another registrar. If you decide to transfer the domain name, we will not be responsible for any transfer or renewal fees from that moment on.
? How do I benefit from this offer? The benefit is that you do not have to overpay for domain names and hosting. The biggest and most popular domain registrars charge anywhere from $10 to $30 per year for a .com domain and between $14 and $30 for hosting per month - why pay that?
? When do I need to claim/register the free domain? Excellent value for practically no money!!! Fast, reliable, accessible. Excellent value for practically no money!!! More Reviews by Real Clients..